It’s amazing how quickly Thanksgiving sneaks up on us, but what’s more amazing is how our routine changes during the holiday. 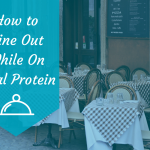 With all the parties and social events during Thanksgiving, it can be hard to stay on track with the Ideal Protein diet. We want to help guide you with tips to survive temptation, whatever food form it may take. Here are our Thanksgiving diet tips. Are you the guest? Ask the host if you can contribute to the meal and bring one or more IP-friendly vegetable side dishes or even a dessert. This ensures you will have options during the party to keep your hunger satisfied and your diet on track. Bring along an IP snack, just in case you need that little something extra. The NEW Ideal Protein Unrestricted Mac & Cheese makes for a great side. Also, check out this recipe for IP-Friendly Roasted Vegetables. Prepare for the party. Don’t skip meals before the party; eat a well planned meal prior to the event. Drink a full glass of water before you leave, it will make you feel fuller. Wear something that fits snuggly. It will be a physical reminder of your goal and help you stay focused. At the party, participate in the fun and games. Take the focus off the food table and get involved in a group activity. Stay an arms length away from temptation, like the dessert table. If the party is low key, grab a glass of water and hold in your dominate hand so as not to be tempted to grab something off the snack tray. Embrace the spirit of the season with a good dose of dieter’s common sense. Moderation is key to a healthy weight. Don’t undo all the healthy habits you’re established. This is one of the best Thanksgiving diet tips we can give you! Check out Ideal Protein’s full Thanksgiving menu! Need encouragement? 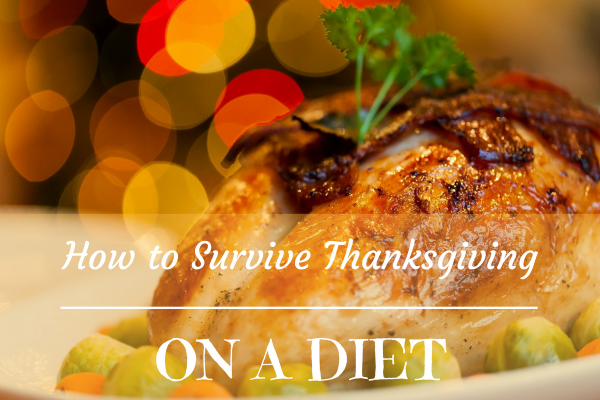 Contact your coach or Ideal Solution for more Thanksgiving diet tips.